“Mama Africa” by Nel Simon. Jacob Gelt Dekker presenting at Tedx Amsterdam. 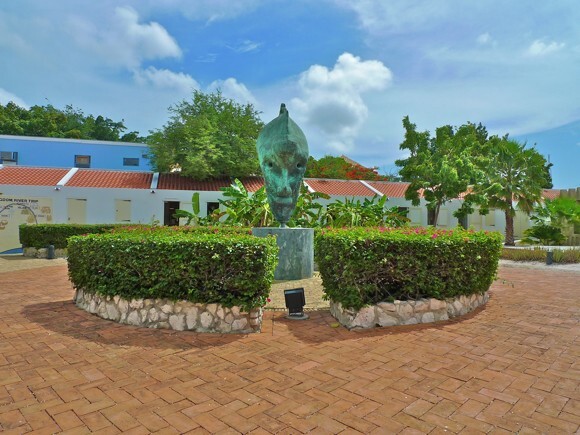 The brainchild of Dutch entrepreneur-turned-philanthropist Jacob Gelt Dekker, the Kura Hulanda Museum consists of 15 buildings that span more than 16,000 square feet and houses the world’s most extensive collection of slave-related artifacts and replicas as well as the largest collection of African artifacts and anthropological exhibits in the Caribbean. In fact, Gelt Dekker hand-picked each item and continues to add to the museum’s vast collection whenever he can. The sum of the parts is a gut-wrenching and richly educational institution. A mandatory visit. After colonizing Curaçao in 1634, the Dutch West India Company decided to transform the natural harbor, Saint Anna Bay, into a major human trafficking center (1662). 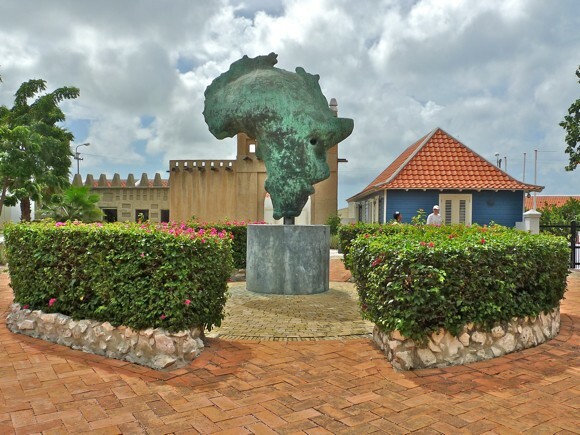 Given lack of natural resources and agriculture, slave trade was Curaçao’s main economic driver for a little under two centuries. When the Dutch finally abolished slavery in 1863, Curaçao’s economy dipped into deep recession. As a result, most freed slaves lived enchained by poverty. Unfortunately, many still do to this day. 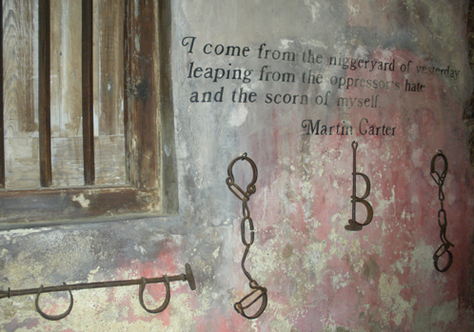 Needless to say, there’s absolutely nothing awesome about Curaçao’s history of slavery and slave trade. Still, our countryside remains dotted with picturesque, brightly-colored remnants of 200+ years of dark history in the form of plantation houses (landhuizen) as well as kunuku houses (slave huts). 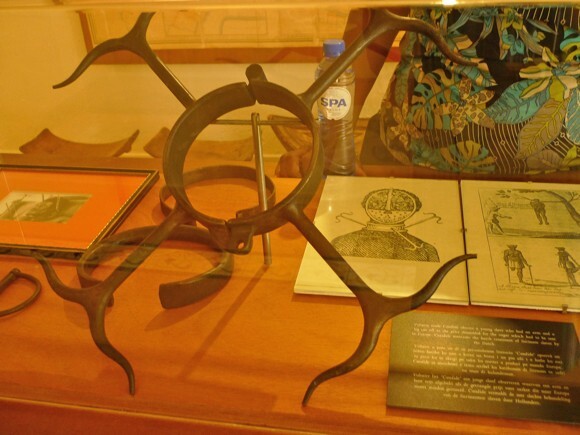 In fact, both the hotel and museum ‘Kura Hulanda’ (Holland Yard) are located where the Dutch West India Company used to sell slaves. The space has been (awesomely) re-purposed to shed (equatorial sun) light on the darkest of Dutch (and world) history — for the whole world to see, learn from and never, ever repeat. ‘Evolution. Slave Trade / Middle Passage. West African Empires. Kingdoms of Benin’. Entrance. Photo by Annie Scott. The first gallery is dedicated to the origins of man and exhibits ancient treasures (clay tablets and tax collector slabs, zoomorphic vessels, terracotta deities and fascinating relics from Iran, Ethiopia and Syria) collected by Gelt Dekker to remind us that we all come from the same place. 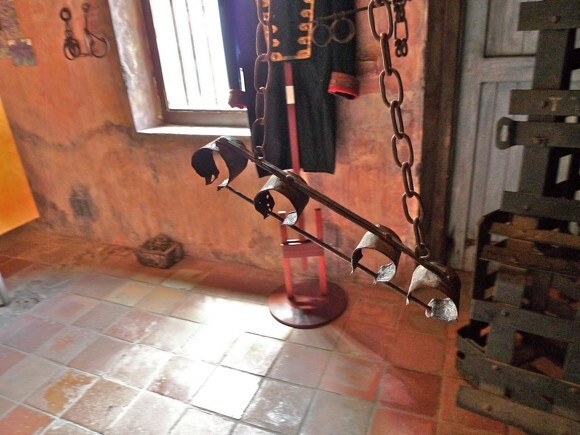 From there you journey into a horrifying history of torture and abuse — human cruelty we’d rather block out or deny — but we must, must, must remember — as it was all motivated by hate and greed… human qualities that still exist to this day. 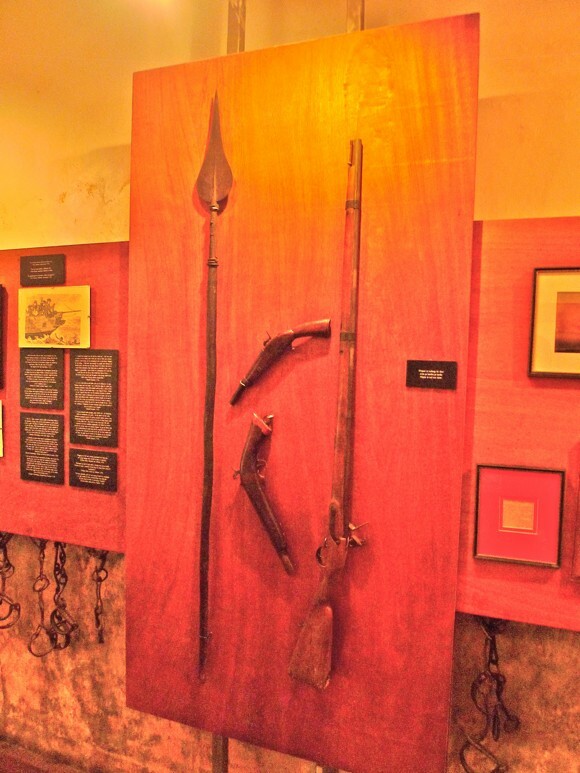 Much like holocaust museums, this slavery museum honors the millions of people who suffered and urges us to recognize the significance of their suffering… walk in their proverbial shoes, feel their pain, tie ourselves up in their shackles and let ourselves be transported by their claustrophobic slave ship. 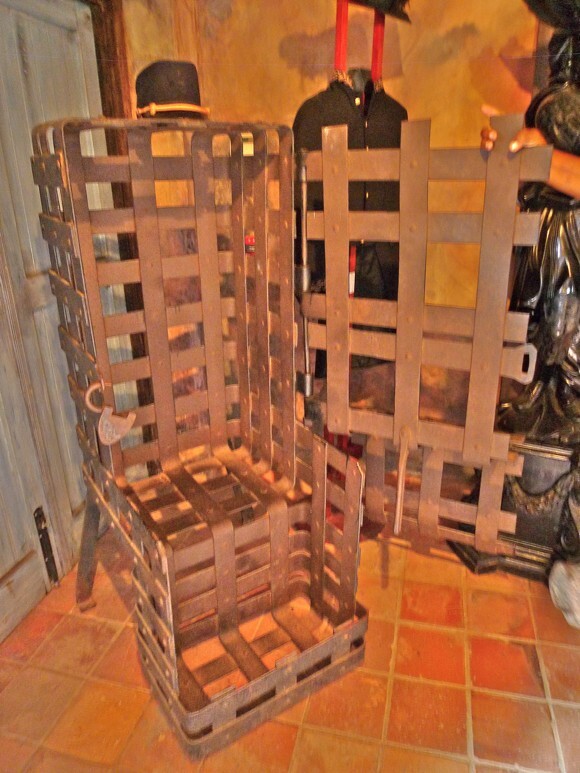 A metal chair in which slaves would be locked, then left in the hot sun. Photo by Annie Scott. Shackles. Photo by Annie Scott. 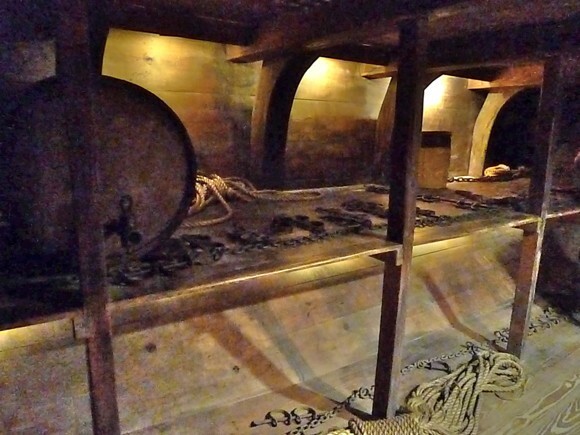 Replica of a slave ship’s slave quarters. This room, which you are free to enter, stands less than six feet tall. Photo by Annie Scott. Contrast of European and African weapons. Photo by Annie Scott. A neck shackle which prevents sleeping, among other painful effects. Photo by Annie Scott. Branding iron. Photo by Annie Scott. You’ll visit a frightening, but necessary place, a place you won’t easily forget. 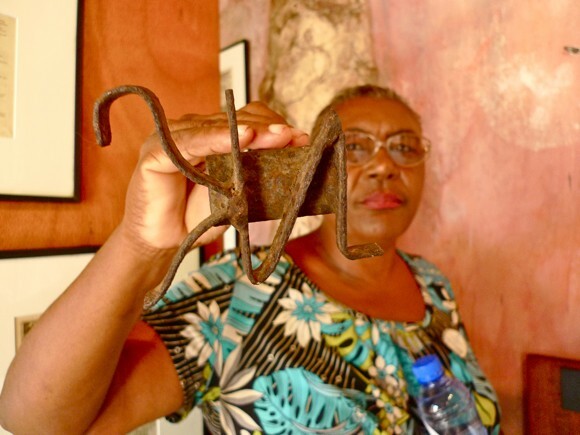 And if you’re lucky, tour guide Yflette will lighten the emotional load with some characteristic Curaçao humor. 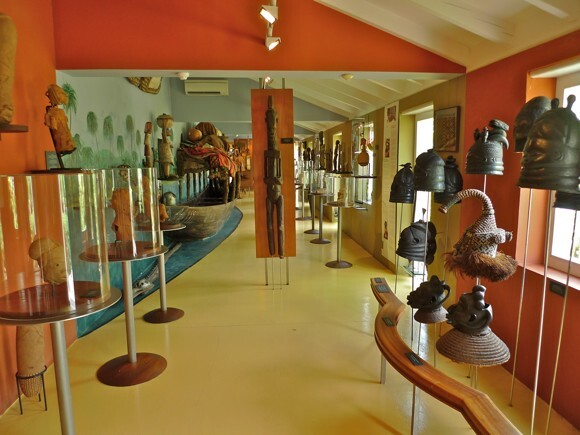 The museum ends with long halls displaying an expansive gallery of African artifacts, celebrating the unique and fascinating cultures from which the slaves were torn. 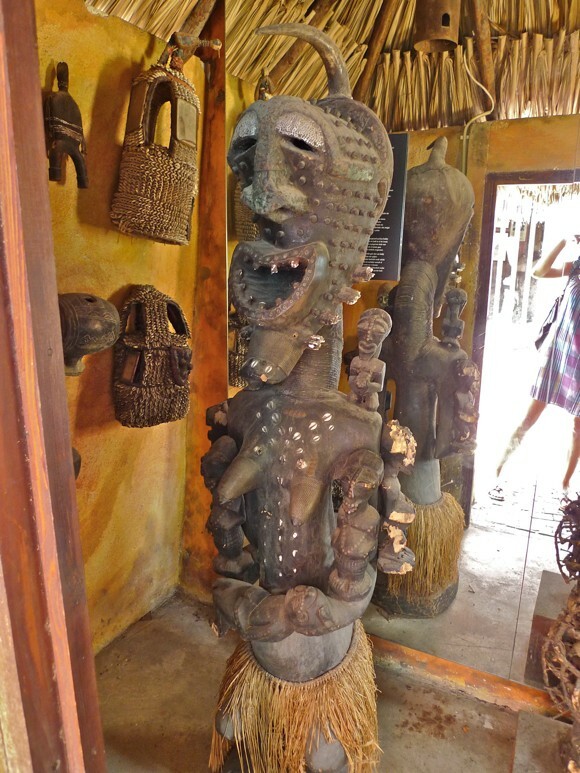 Many items hail from the great African empires of Ghana, Mali, and Ethiopia, and separate sections show the artistry of the Dogons of Mali and bronzes produced in Benin.